Walk into a donut shop in the greater Los Angeles area, and there's a good chance it's run by a Cambodian family. This is just one of the legacies of Ted Ngoy, aka the "Donut King." A refugee who fled the Khmer Rouge's takeover in 1975, Ngoy has since gone from penniless to wealthy — not once, but on three separate occasions. Each time, however, he left behind a lasting impact that's bettered Cambodian lives in some way. 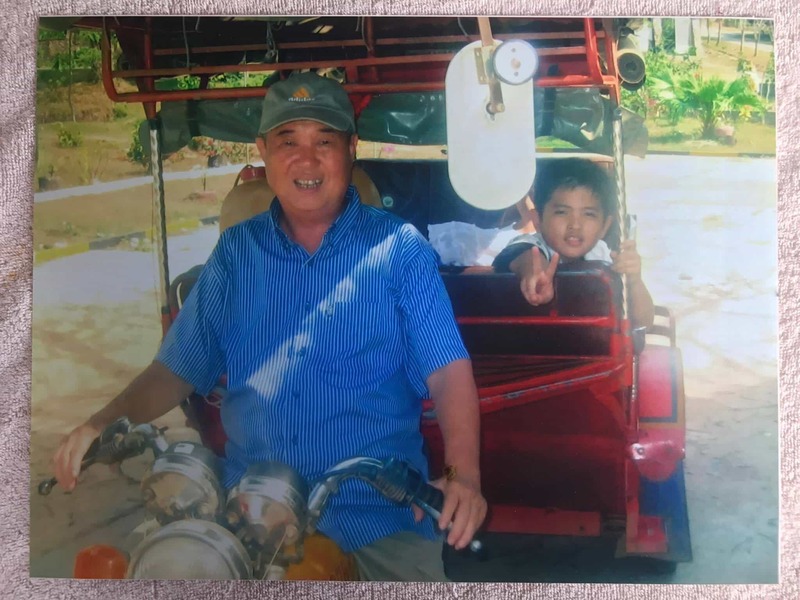 Ngoy's first journey to prosperity began when he and his family fled the Cambodian takeover and genocide by the Communist Khmer Rouge and made it to Orange County, California. Soon after arriving, a Lutheran church agreed to sponsor him and his family as refugees. From there, Ngoy made the most of his new life, seizing every career possibility that came his way. Ngoy told Foodbeast that “when a good opportunity comes to us, we should grab it and we should seize the moment, we should take it.” It was through that persistence and entrepreneurial spirit that Ngoy was able to make it big in America. His career path started in a Mobil gas station, but Ngoy’s foray into the donut business began after his co-workers bought him one from a shop across the street to sample. Biting into one for the first time, his passion was ignited by its taste, a nostalgic sweetness that reminded him of nom kong, a Cambodian rice flour pastry. Now that he knew about the donut shop across the street, Ngoy began to pay more attention to the activity surrounding it. A big thing that he noticed is that the shop got a ton of traffic, especially in the morning, as folks looked for a quick breakfast on the go. Donuts are a low-cost, high-profit item, and Ngoy realized this and saw the shop as a money-making venture. With the crowds he witnessed lining up for the treats in the morning, it was sure to help him and his family make some fast cash. Unfortunately, he didn’t have the money to start his own business outright. However, a local chain, Winchell’s, had a managerial training program that prepared individuals to run their own locations. Ngoy applied,got into the program, and within months, had his own Winchell’s shop to manage . Not letting up from there, Ngoy later raised enough funds to buy his own donut shop. He then leveraged his experience at Winchell’s to make that store a lasting success. The profits gained went to buying more stores, until eventually, Ngoy had control of a vast empire of dozens of donut stores. In that process, he went from being broke to a multimillionaire within the span of just a decade. It was while managing his robust fleet of shops that Ngoy helped influence the iconic pink donut box. The catalyst was his penchant for cost-cutting, living by a mantra of "save a penny here, a dime there." One of the ways to do that was to switch donut box colors from the standard white he was previously using. At the time, one of Ngoy’s proteges, Ning Yen, was running a distribution network to support his stores. The two of them looked at cost-cutting options together, and found that other solid colors, like pink, were cheaper than the white boxes. “Pink will look better than white, and white costs more,” he said, making the choice to switch a lot easier. His influence in the donut world convinced many other family-run operations to do the same, and eventually, pink boxes became the norm. Many of those families that switched to pink boxes along with Ngoy weren’t just local entrepreneurs. Several were Cambodian families that had also fled the Khmer Rouge and were looking for a second chance at life. Having been in their shoes, Ngoy often gave these families one of his own stores to operate, and in turn, some even built up their own conglomerates of donut stores as well. 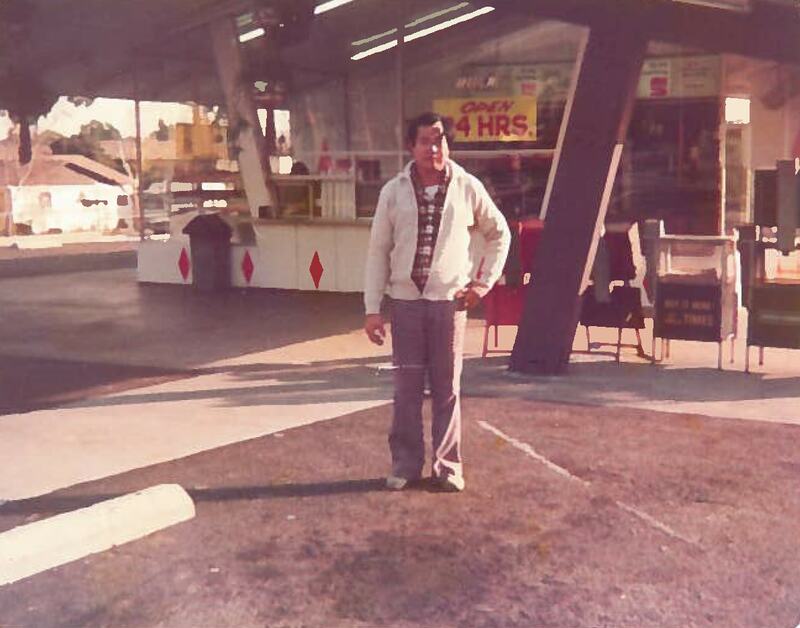 It was through these generous acts by Ngoy that Cambodian donut shop culture exploded and became a facet of Orange County, even to this day. Ngoy wouldn’t remain at the helm of this donut empire forever, however. While on a trip to Las Vegas, he developed a passion for gambling that grew into an addiction overnight. Ngoy lost a ton of money there, and it was straining both his businesses and his family. He turned to Christianity and a growing interest in politics to get past the worst of his inner demons. They would still occasionally creep up on him, however. Thus, he decided to go for a change of scenery, and sold off his donut empire to return to a freed Cambodia and compete in its new elections. The campaign message Ngoy focused on was “rejuvenation,” aiming to use smart business deals and an American sense of freedom to restore Cambodian prosperity and nationalism. While he lost the election, his message was heard by the newly elected Second Prime Minister. He set up a meeting to get advice from Ngoy, who then convinced the Prime Minister to set up Cambodia's first Chamber of Commerce. The success of this project led to Ngoy's first official role in politics: economic advisor to the Second Prime Minister. He returned to the United States in this capacity, where he led a successful Congressional bid for Cambodia's status as a Most Favorable Nation. This opened the country up to foreign investors that would help its economy grow and flourish, bettering the lines of its citizens overall. Ngoy would later run for election a second time, but lost not just the race, but most of his savings as well. The rest of it was drained working for Cambodia's agriculture department, where he ran a project researching hybridized rice in China. The hope was that the rice could be grown in Cambodia to help feed the entire population. Unfortunately, Ngoy ran out of funding to complete the project, and was so poor that he couldn't even afford a plane ticket back to California as a result. While it wasn’t the same career pathway as selling donuts, Ngoy’s tenure in politics carried that same spirit he had while in Orange County. He was always looking to help out his fellow countrymen, even at his own expense. It’s why he willingly gave his own donut shops to refugee families, fought hard to give Cambodia it’s Most Favorable Nation Status, and attempted to bring hybridized rice to his home nation to combat hunger issues. That willingness to sacrifice everything one owns to better the lives of those around him is a spirit not often seen in today’s leading entrepreneurs. Generosity begets generosity as well, so while Ngoy may not have had any money, he did have the help he needed in his own time of crisis. A friend of his sponsored a one-way ticket to LAX, and just like that, Ngoy came full circle. Decades after coming to the US penniless and running his donut empire, he was once again destitute and looking for a place to live. Over the next three and a half years, Ngoy traveled from home to home in Orange County. The title of “Donut King” was no longer available to him, and he soon became miserable and desired to go home. Working odd jobs, he eventually saved up enough money to return to Cambodia. He remained homeless for a time, working as a tuk tuk driver at one point to help get by. Eventually, someone gave him a job teaching English to Cambodian schoolchildren. His reputation as the "Donut King" then carried, and many came to him for financial consulting. His generosity and advice led to many young businessmen in Cambodia to launch their own successful careers, and even influenced refugees today looking for their own second chance. "We all know that we are victims from war… We’ve come to a country, especially America, once we have a determination. When we have an opportunity, we grab it, we don’t wait until tomorrow. Work hard, and continue to look for opportunities. First, learn the English language. Second, even though we’re working in a large country, it’s important that we’re getting experience… Go out and work hard, and when you have the chance to do something better, just go for it." Living by his own advice, Ngoy got one last chance to restore his fortune, as he was contracted to help some Chinese businessmen buy one thousand hectares of land in Cambodia. His commission from that successful sale finally lifted him out of poverty and back into wealth for a third time. Nowadays, Ngoy still lives in Cambodia, and is leveraging his latest influx of cash to give back to his country. It's part of a mantra he's carried his whole life. "I feel like when I make enough money, I have a good life, I should pay back to the society and the country that gave me birth." To accomplish that one more time, Ngoy plans to use revenues from his new autobiography, The Donut King: The Rags To Riches Story Of A Poor Immigrant Who Changed The World. Proceeds from the book sales will fund a youth education program that provides college scholarships for the younger generations. California may have been where the “Donut King” legend was born, but all that Ngoy did throughout his was life was for the betterment of Cambodia. He did it as the "Donut King," in political power, and even while homeless. And yet, with all that he's given to the country already, he's not satisfied. "I still feel like I owe Cambodia a last dream," Ngoy says, and he hopes that the money he makes off his new book can provide that for his country.